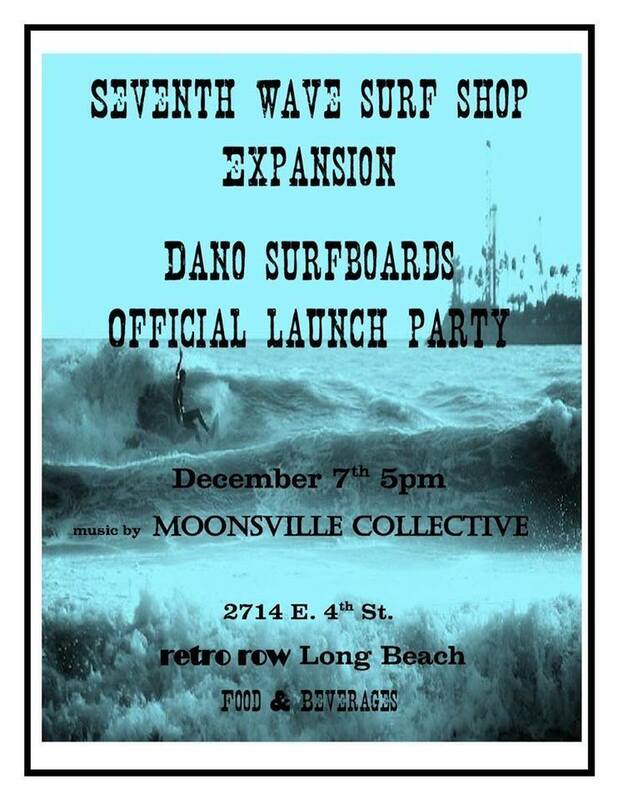 This Saturday @ 5:00, Seventh Wave Surfhop in Long Beach Dano Surfboards Launch Party and Shop Expansion!!!!!!!!!! LIVE music by MOONSVILE COLLECTIVE also Food and Beverages. Fun for the whole family!!!!!!!!!!!!! !